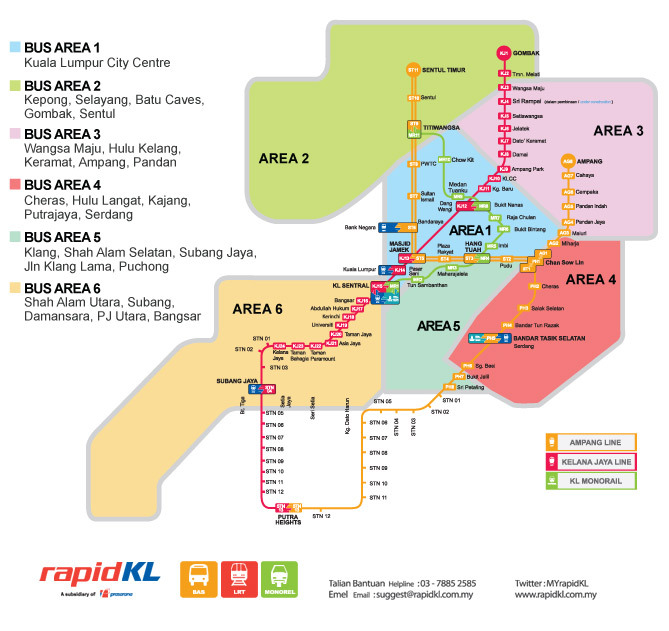 The public transportation system in Malaysia comprises of bus, railway and taxi services. 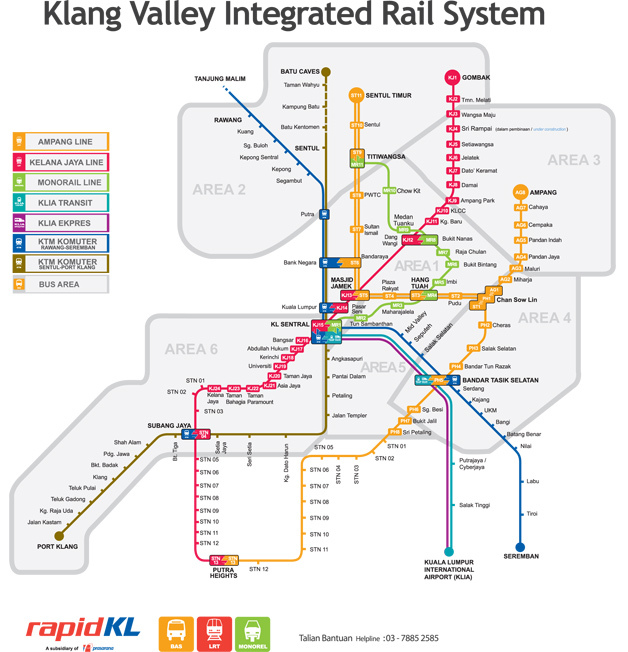 The Klang Valley has an integrated public transportation system incorporating the Light Rail Transit (LRT), monorail, railway and bus services is being developed. Taxis and limousine services are also available at reasonable rates. City taxis are metered. In Kuala Lumpur taxis are easily recognizable by their colours. Taxi fares are calculated according to meters. The flagged down fare is RM2.00 for the first two kilometers and 10 cent for every 200m there after (subject to change). A 50% surcharge is levied between midnight and 6.00 AM. Additional RM 1 is charged for: phone booking, 3rd adult passenger (max 4 ) and/or baggage stored in boot. Pre-paid coupon system is used for taxi stands at KTM KL Station, KL Sentral, KLIA and some shopping mall.